The best WordPress plugins can extend the functionality of your blog and help you achieve your blogging goal. Whether you are a WordPress beginner or a veteran blogger, selecting the best WordPress plugins for your blog can be tricky. The most popular WordPress plugin may not necessarily be the best plugin for your blog. Worse still, some of the so-called must-have plugins could slow down or introduce holes that could compromise the security of your blog. Finding useful plugins don’t have to be a daunting process though. And this article will help you do exactly that. Starting with the bare essentials such as contact form, SEO, social, analytics and caching plugin to speed up your blog, I’ll explore other popular WordPress plugins that will take your blog to the next level. Finally, I’ll look into ways how you could declutter and reduce the number of installed plugins yet still have important features for your blog. You can skip the first two sections if you are already familiar with the basic of WordPress plugins and know how to install them. A WordPress plugin is a small piece of code that you can install with just a few clicks to add a new functionality or enhance an existing functionality of your WordPress blog. To see your list of installed plugin, log into your WordPress admin dashboard, then click Plugins > Installed Plugins. Akismet – checks your comments for spam. It’s very useful for personal blogs. However, if you make money from your blog in any way, you’ll need to pay for the service (I’d delete Akismet). Later I’ll show you a free alternative to Akismet which allows both personal and commercial use. Hello Dolly – the world’s first official WordPress plugin. It doesn’t do anything useful except demonstrates how a plugin works so I’d also uninstall this. If you’re new to WordPress then you might not know how to add new plugins to your blog. To do so, click the “Add New” link under Plugins menu or the button at the top. The next screen will show the official WordPress plugin directory. If you can think of any feature you want to add to your blog, there’s probably a plugin for that. With tons of free plugins to choose (55,469 and counting! ), it’s easy to see how some WordPress users end up installing anything that takes their fancy. When you find a plugin you like, click the “Install Now” button. When WordPress finishes downloading the plugin, just click the Activate button to activate it. With so many free plugins available, why would you want to pay for a premium or paid plugin? Frequent updates – premium plugins will be updated more often. So they usually work better and are compatible with the latest version of WordPress and other plugins and themes. Better support – developer helps you troubleshoot issues if something goes wrong. Better security – probably more reliable and secure than a free plugin that could just be a side project for the developer. Extra features – some plugins come with a premium version which offers extra features that’s not available in the free version. It’s sometimes called a freemium plugin which you can upgrade to the premium version for more advanced features. When you Google “best WordPress plugins” or “must have plugins for blog” you’ll come across with many different suggestions and opinions. Instead of creating a longer list of plugins than the next blog, I’ll start with the bare-essentials, i.e. plugins which are useful for a new blog. These plugins address a universal concern or needs every blog owner cannot afford to ignore. With so many plugins to choose from, it is inevitable that some features overlap may occur. The duplicate in functionalities can cause conflict so you’d want to minimize the number of installed plugins in your blog. Instead of listing the features of every plugin, I’ll explain what each plugin does and its advantages and disadvantages to help you decide if the plugin is right for you. In any case, these list includes some of the most popular plugins for their respective speciality. They are the same plugins installed at Sabahan.com too so you can be confident they work as advertised. With over 5 million active installations, it’s one of the most popular contact form plugins for WordPress. All blogs should have a contact page to allow visitors get in touch with the owner easily. With Contact Form 7, you can make some fields compulsory or create forms for a different purpose other than a normal contact form. The form can be placed into a post or page of your choosing by using shortcodes. If you need help with the installation, you can find step-by-step instructions on how to set up Contact Form 7 here. This plugins automatically blocks spam comments and trackbacks without captchas and without sending personal information to third-party services. I had used Akismet for all my blogs before they required a subscription for commercial blogs. Today Antispam Bee is my go-to anti-spam comment plugin. For further reading, check out this article about using Antispam Bee to block spam comments. Yoast SEO seems to be on everyone’s top 10 or must-have plugins lists these days. While a lot of things has changed as far as optimizing your blog for the search engines, there are things that stayed constant such as having keywords in your title and descriptions, keywords in alt text for images, and headers text, good keywords density and so on. Creating content that is properly optimized for Google and other search engines can be daunting. And this is where the Yoast SEO plugin comes in. It walks you through optimizing your blog posts for the search engines without having to be an expert in blog SEO. The free version should be good enough for most bloggers. Easily optimize your post/page/category title and meta description – this is the feature I use most. The Analysis feature offers good optimization suggestion – but there’s no need to fret about the imperfect score. Just use it as a guideline. At $89 per year, Yoast SEO Premium is expensive but could be worth it. Bloated code since you can’t remove features you don’t use. For me, the ease of internal linking could be a reason for an upgrade. The premium version also allows you to optimize your title/meta description and content for up to 5 keywords. However, trying to optimize for 5 keywords at once seems overzealous and the paid tool doesn’t make it any easier. Besides Yoast SEO uses exact match for the secondary keywords. So you can end up stuffing keywords into your title and description instead of making them flow naturally. If the multiple keywords feature is the reason you want to upgrade, read this helpful review to help you decide. I’d just focus on writing great content and naturally sprinkle any secondary keywords in the article body and subtitles. In case you’re still wondering if you need Yoast SEO Premium, check out this review too. In my post SEO Tips for beginners, I stressed that having a fast loading blog is crucial to your search engine rankings. A slow loading website usually ranks lower on Google search results and will hurt your business. The good news is, you can easily improve your blog performance by installing a WordPress caching plugin. Caching plugins work by storing your blog data temporarily in the cache so that it loads faster the next time the user opens the same page. For that purpose, I am using W3 Total Cache for Sabahan.com and it works wonder for me. The default options should work fine for most bloggers. Just make sure to enable Page cache and HTTP (gzip) compression. If you have a busy blog, you may want to use the CDN feature. It minimizes your server load because CDN distributes the load on multiple servers across the world (they are located closer to your visitor’s location). Most CDN services will cost you a monthly fee. However, there’s a free CDN service you can try by Cloudfare CDN. All you have to do to get it up and running is change your nameservers on your domain registrar website. Your host should be able to help you set it up. That said, the free Cloudfare CDN won’t give you significant improvement in performance. I tested Sabahan.com with Pingdom.com and selected Melbourne, Australia as a test origin. Since my server is located in the US, the loading time is still not that great. The free version should work for most people. Helpful documentation within the plugin. Use by many popular blogs like Mashable, Matt Cutt and WpBeginner. Pricey premium version at $99 per year. Advanced features can be complicated. In any case, caching plugins are known to conflict with other plugins or themes. Ideally, you should only install one such plugin on your blog. Tracking how and when users visit your blog is crucial. The number of visits and page views your blog have are an important indicator of the success of your blog. First, you’ll need to sign up with Google Analytics to help you do just that. To integrate it with your blog, you may want to install a Google Analytics plugin. This is not actually necessary but these plugins simplify the process as you don’t have to manually paste the tracking code into your blog’s header. Some of the Google Analytics plugins also give you access to your Google Analytics data without the need to leave the friendly confines of your WordPress dashboard. Currently, I am using Google Analytics Dashboard for WP (GADWP) by ExactMetrics. With GADWP, you can view the number of visits to your site, bounce rates, organic searches, pages per visit, and more directly on your WordPress dashboard. In addition to the general reports, the in-depth Page reports and in-depth Post reports allow further segmentation of your analytics data, providing performance details for each post or page from your website. I have used Google Analytics for WordPress by MonsterInsight but found the free version too limiting. The whole plugin feels like an advertisement for the pro version. Backing up your blog regularly should be part of your standard WordPress security practice. Backups could save you from a lot of future troubles and give you peace of mind. If you run a business blog, I can’t stress enough how much backups are crucial for your long term survival. When an update or changes you made go haywire, or your blog just got hacked, you can quickly restore your blog from a backup and start afresh. BackWPup allows you to create a complete backup for free and store on the cloud i.e. Dropbox, Amazon S3, Rackspace or FTP, email, local server. BackWPup can backup your database, WordPress theme, plugin files and uploads folders. You can even exclude folders from the backup. It’s free – a paid Pro with extra bells and whistles is also available. Can store backups to cloud storage – Dropbox, S3, Rackspace etc. Can create multiple backup jobs – each job creates smaller backup file thus more memory efficient for your server to handle. Storing backups to Google Drive requires the Pro version. No incremental backups (it backups everything not only new/updated files so can be resource intensive). If you have a very large blog, you may want to look elsewhere. Ideally, you should not store your WordPress backups on the same server. Storing your backup files into a folder on the same server can be a good temporary solution but not recommended for the long term. If your server failed or are hacked and your backup files are compromised, it defeats the purpose of setting the backup in the first place. The good new is you can get started with Amazon S3 for free. Upon sign-up, new AWS customers receive 5GB of storage and 15 GB of data transfer each month for one year. A sitemap is a file on your server where you list the pages of your website to tell Google and other search engines about the organization of your site content. In the old days, you’d have to create the sitemap file manually. Today you can use plugins like Google XML Sitemaps to help generate an XML sitemap for your site. This sitemap file helps search engines like Google and Bing to easily understand the structure of your site and include them into their database. Everytime you publish or update posts or pages, Google XML Sitemaps will automatically update your sitemap file and notifies all major search engines about the new content. None that I can think of – good enough for the average user. Google Search Console for Google. Bing Webmaster Tools for Bing. Sitemaps do not necessarily boost your SEO rankings, the main purpose is to help search engines crawl your website better. Since new blogs usually don’t get many backlinks to their posts or pages, it is harder for the search engines to discover them. Having a sitemap for your new website or blog is advantageous because it improves the discovery and visibility of your new blog quicker. The default installation of WordPress is pretty secure. You just have to make sure to use a strong password and constantly update your WordPress version and plugins. Having said that, it does not stop malicious people from attempting to break into your blog. This is where Wordfence Security comes in as it keeps your blog more secure. Plenty of options to tweak to suit your needs. While WordPress itself is an awesome platform for creating websites, the default installation is rather limited in features and functionality save for the content management system it’s originally intended for. That in itself is actually good because you can pick and choose which capability you need by installing the exact WordPress plugins and avoid the bloated code problem. Ultimately, your blog goal determines which plugins are necessary. For example, what’s essential for a blog that sells things online may not be useful for a personal blog. I don’t want to review some random plugins that only look good on digital paper but may not work as advertised. So this list only includes plugins that I’ve personally used in my blogs. This list will be updated from time to time to include additional plugins deserving the spotlight. This plugin is intended for those who want to modify their current WordPress theme beyond the basic configuration allowed in the theme settings. To use this plugin, some technical knowledge about WordPress is necessary though. Child themes are the best way to customize your WordPress theme. A child theme is a theme that inherits (or copies if you prefer) the looks and functionality of another theme, i.e. the original theme (parent). The idea is that you can modify and add new functionality to the parent theme without modifying it directly as you are working with the child theme. However, child themes aren’t easy to create. This is where the Child Theme Configurator comes in. It generates any number of child themes from your parent theme giving you unlimited control over the look and feel while leaving your parent theme untouched. Adding a table of content (TOC) at the beginning of your posts (or sidebar) can be a good way to make them more readable and manageable for your readers. The readers can skip through the information that doesn’t necessarily apply to them and go directly to the parts they actually want to read. This could reduce the page bounce rates, and in turn, will improve your search engine rankings. Besides highlighting the important sections of your posts, adding Table of Contents to your blog also helps Google to show rich snippet in the search results. Easy Table of Content helps you achieve those goals by easily creating a clean table of content. The table of contents is generated automatically. No shortcode is necessary, just point and click to implement. You can see the actual implementation of Easy Table of Content on this post. Have you ever wondered if anyone actually read your newly published blog post? Sure you can install an analytic plugin to track your page views but that’s not the simplest way of doing it. You can easily see how many times a post or page had been viewed by installing Post Views Counter. It’s simple and convenient to use as the view count appears right at the bottom of your post/page. It also provides social proof to your visitors in that other people are interested in your content too. Unlike some other post views counter plugins, you can exclude counts from bots, logged in users or by IPs. Post views count is also not auto increment for every page refresh. I also like the fact that I can easily import data from WP-PostViews which I had used previously (but is no longer updated by the developer). Have you ever wanted to put a spotlight on an element that deserve a spot front-and-center without disrupting the content flow? Maybe it’s your newsletter opt-in form, a table of content, product promotions, Follow Us widget or photos that “sticks” to their screen. Well, you can do so with Q2W3 Fixed Widget. When installed, it adds the “Fixed widget” option in your widget settings (as you can see from the image above). If the box is checked, the particular widget will always be visible when the page is scrolled down or up. It basically creates a sticky floating sidebar widget for your WordPress blog. You can see a working demo of Q2W3 Fixed Widget on this page for my own newsletter opt-in form (if I haven’t disabled this feature already). Having your own mailing list is crucial to the success of your blog. Email remains the best way to market your offers and build a sustainable business. Most of the traffic coming from Google or social media are temporary. Some visitors may never return after they read your content. One way to ensure they will return is by capturing their email addresses. You can send them an email whenever you publish a new blog post. At Sabahan.com, I am using Thrive Leads to design my opt-in form and connect to the MailerLite email marketing platform. MailerLite is totally free to use if you have fewer than 1000 subscribers. While Thrive Leads is not free, it’s one of the best list-building plugins for WordPress. Unlike other paid list-building plugins, there’s no upsells or extra features to unlock. Everything is accessible with a one-off fee of $67 (it comes with free updates for life including one year of support if you stop paying). You can design a great looking and professional quality optin form with a few clicks. There are a variety of optin form types: Lightbox, ribbon, widget, slide-in, screen filler overlay, you name it. To Top allows the visitors to easily scroll back to the top of the page. It’s useful if you publish long posts often. When installed, it adds a floating scroll up icon at the bottom right side of the page. When clicked, the page rolls smoothly to the top. There are various options available to help you customize the button to match your needs. You can see a live demo of this plugin on this post. With more than 55,000 free plugins to choose from in the WordPress plugin directory alone, it’s easy to feel like a kid in a candy store. While there are no hard and fast rules, most experience WordPress users would agree that less is best. Dan Norris, co-founder of WordPress website support service WP Curve prefers to keep sites to under 20 plugins. Website crash due to poorly coded plugins. Security breaches and hacks – you can’t be 100% certain that all plugins are safe and secure. Some plugins are poorly coded or haven’t been updated for a while exposing your site to security risks. Reliability issues due to poor coding, slow updates, poor support and plugins being discontinued. Avoid installing plugins offering similar functionality. Uninstall plugins that you don’t need. Only install plugins that come from trustworthy and reputable sources. Check when the plugin was last updated. Try to avoid those that haven’t been updated for more than a year. If possible look for plugins with over 100,000 downloads and 4+ star rating. Check the support threads to see how the developer is responding (or not). One of the best WordPress plugins you definitely need to install is a caching plugin. I’ve written a post to help you how to quickly and easily increase your blog loading speed. When your site is experiencing an issue, you basically had to manually deactivate/reactivate individual plugins to find the exact plugin that’s causing that issue. A new plugin solves this pain by taking this manual process and automates it for you. You are basically doing the same thing just with a fewer clicks of a button. You can check out Plugin Detective’s WordPress.org page here. In addition to the suggestion above, installing a WordPress theme that comes with useful built-in functionality can also help reduce the number of plugins you need to install. The problem with this is that choosing the right theme can be tricky as you could end up installing a theme that comes with tons of features that you don’t actually need. This is called the “theme creep” which is when your WordPress theme tries to do too much by itself. WordPress themes should only handle your site’s design and layout. All the functionality is supposed to be in plugins. Will it still be around a few years from now? Will it continue to be supported and get updates? What if you want to switch theme in the future? My questions were answered while I was looking for ways to design a conversion optimized landing page for an ebook about cryptocurrency that I wanted to sell. I came across Thrive Themes. Thrive Themes offers a variety of themes and plugins. But the one theme that I am using is the FocusBlog Theme. Update: Unfortunately this theme is sold out! All their themes will be replaced with the brand new, visual theme builder. The best thing about this theme (besides being conversion optimized) is that it comes with many built-in features that the average WordPress user would actually need. Any one of these can be the best WordPress plugins for your blog too. Author Bio Box – this displays a box with the author’s biography and also social icons at the bottom of a post. Related Post Plugin – this plugin shows related content after reading your post. It’s an effective way to increase pageviews and reduce bounce rates. WP Smush – or any other image compression plugin for that matter. Thrive Themes uses Kraken in the background to optimize your images so your pages load as quickly as possible. Comment Lazy Loading – useful if your posts get lots of comment so your pages load faster. The plugin prevents the comments from loading automatically when page/post is loaded. Instead, this plugin only loads (lazy load) the comments when the user scrolls down to the comments section. The default Thrive Theme installation doesn’t have this feature built-in though as it needs to be installed via a separate plugin. I like it so much I have to mention give their Thrive Comments plugin a mention here. Floating Social Media Button – must have for every blog to maximize your social media visibility. Some of these plugins can slow down your blog because they have to load additional stylesheets and scripts. Fortunately, this is not a problem with Thrive Theme. Social Media Follow Us Badges/Widget – these social media buttons are usually placed on the blog sidebar. It’s the best way to build your followers on social media. Breadcrumb plugins – A breadcrumb helps your visitors keep track of their location on your website. It displays the breadcrumb navigation, usually at the top of your posts that tell users where they are relative to the homepage. Installing Thrive Themes is just one of the ways to help you keep the number of installed plugins down. Should you decide to switch theme in the future, you’ll not lose important data but may lose some of the formatting. Thrive Theme still allows you to seamlessly switch between themes without any issues. You just need to install the relevant plugins to regain the missing functionality back. Granted, these built-in features may not be as fancy or as versatile as those offered by separate plugins. Still the functionality they provide should be good enough for most people. Another plus for using Thrive Themes is that all their themes and plugins are optimized for mobile so the functionalities work seamlessly on mobile devices. While it’s possible to purchase each theme and plugins separately, you can save much more if you join the Thrive Membership for as low as $19 per month. As a member, you’ll have access to all of their plugins and themes and you can use them on 25 of your own websites. 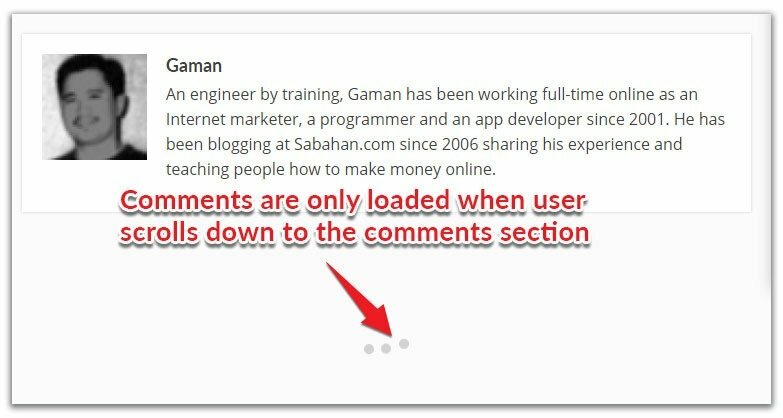 Disclosure: At Sabahan.com I believe in transparency. I’m a member of Thrive Membership and use their products on this blog. If you sign up with Thrive Membership using my referral link, I’ll earn a commission at no extra cost to you. This helps me keep Sabahan.com up and running. If you are not ready to join yet or want to learn how to create websites, landing pages, opt-in forms and maximize your website conversions, check out their Free Thrive University. Thrive University gives you access to all of their guides, courses and webinars for free. Each blog has different goals and needs and there’s no one single plugin that’s one size fits all. The best WordPress plugins are those that extend your blog functionality and help you achieve your blogging goal. However, installing too many plugins can distract you from doing things that really matter for your blog, such as writing great content. Do you agree/disagree with any of my points? Have you encountered any issue with any of the plugins mentioned above? Please let me know in the comments. It’s great! Best wordpress plugins! Great collection. You described a very good list of plugins. I have just installed the User Activity Log Plugin on my website. It is very helpful for monitoring and tracking of all the activities occurs on the admin side. Great post. This was really helpful! Glad you find it helpful Clint. Thank you very much for sharing your thoughts about the different plugins. We ourselves are running several WordPress blogs on which we use severl plugins for different tasks, like Yoast SEO or Jetpack. By adding different plugins for different tasks, you can easily optimize your blogging efforts and boost your workflow (which means that you will have more time for the real important tasks). Before adding plugins to a blog one should really take in consideration which plugins are important and which aren’t. Too often, bloggers use too many plugins for their WordPress blog. Instead of making life easier too many plugins can have the opposite effect. In my eyes social media share buttons as well as SEO tools are two of the most important plugins for your blog. To really bring your blog to the next level I think you have to cross-promote your content on as many different social media networks as possible. Only by providing interesting content to your potential customers, readers etc. people will travel to your blog. For cross-posting your blog posts on different social media networks I want to recommend the Blog2Social WordPress plugin to you (www.blog2social.com) . It has powerful options for easily sharing your posts across all popular social media networks in one easy step. You can optionally customize your posts for each network and automatically schedule your posts for the best times to share. The plugin is a big time saver for cross-promoting your posts. Thanks for the WordPress plugin recommendation Bastion. I’ll be sure to check it out. you are welcome 🙂 – sounds great ! thanks for this plugin list compilation. this list is really helpful. i will use WP cache. Sure vipin. Glad you find the plugin list helpful. 2.The font comes with the theme.